A mysterious nanny, who secretly took over 100,000 photographs that were hidden in storage lockers and discovered decades later, is now considered among the 20th century’s greatest photographers. Maier’s strange and riveting life and art are revealed through never before seen photographs, films, and interviews with dozens who thought they knew her. Co-directors John Maloof and Charlie Siskel join us to talk about a woman who fiercely protected her privacy and asserted her independence from the bourgeois values of the families she lived with. 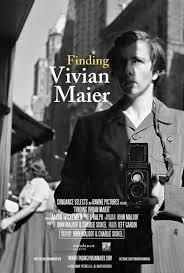 In FINDING VIVIAN MAIER, a nanny from Chicago has taken her place among the most accomplished photographer’s of the 20th Century. At the Landmark, on Friday, March 28 for a Q&A after the 7:40pm show, and on Saturday, March 29 for Q&A after the 7:40pm show Co-director/co-writer Charlie Siskel and producer Jeff Garlin will appear in person. Read Kenneth Turan’s Los Angeles Times review!